Longhorns give up only goal of game in 78th minute. UT goalie Nicole Curry has a season-high seven stops. Horns to visit Iowa State on Friday. 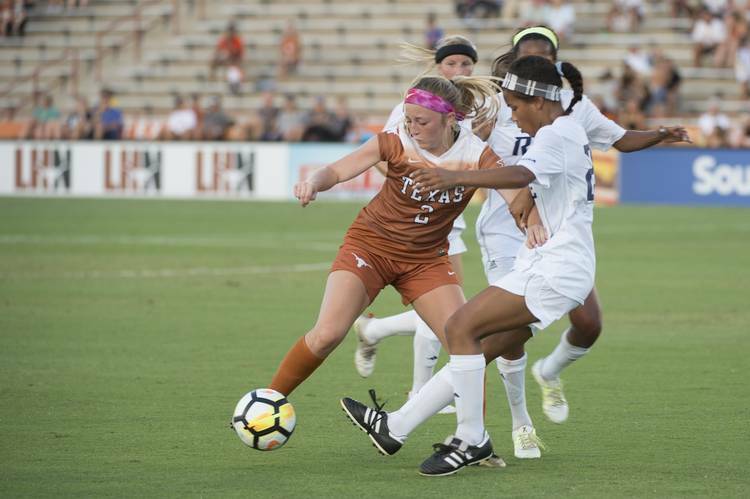 The eighth-ranked Texas soccer team gave up a goal in the 78th minute and fell 1-0 to TCU in a Big 12 match Sunday at Fort Worth. Forward Yazmeen Ryan netted the only goal of the game as the Horned Frogs (8-3-2, 1-2-1) handed the Longhorns (9-1-2, 1-1-1) their first defeat of the season. Texas junior Nicole Curry had a season-high seven stops in goal. Haley Berg, a sophomore midfielder, had four shots, including one on goal, to lead the Longhorns. Senior midfielder Katie Glenn had three shots. TCU got the winning goal as a chip over the top dropped right in front of Ryan on the right wing. She settled the ball, challenged Curry one-on-one and found the net at the bottom left corner. Next up for the Longhorns is a visit to Iowa State at 7 p.m. Friday.